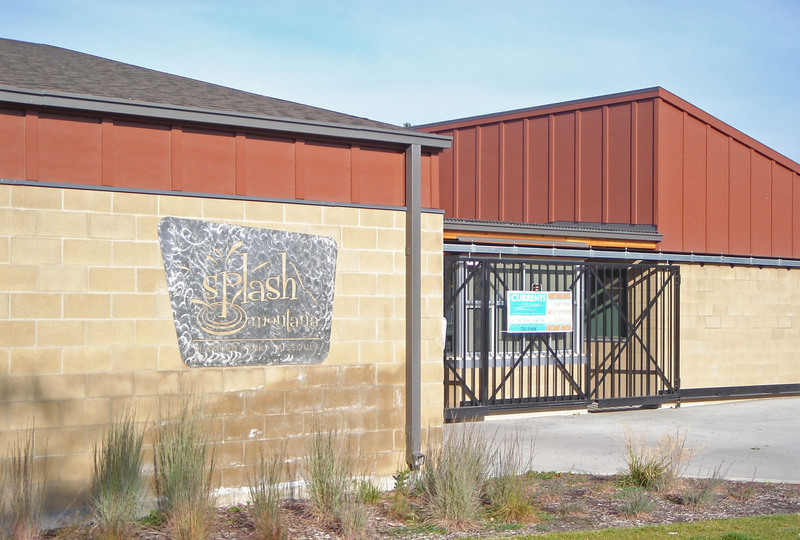 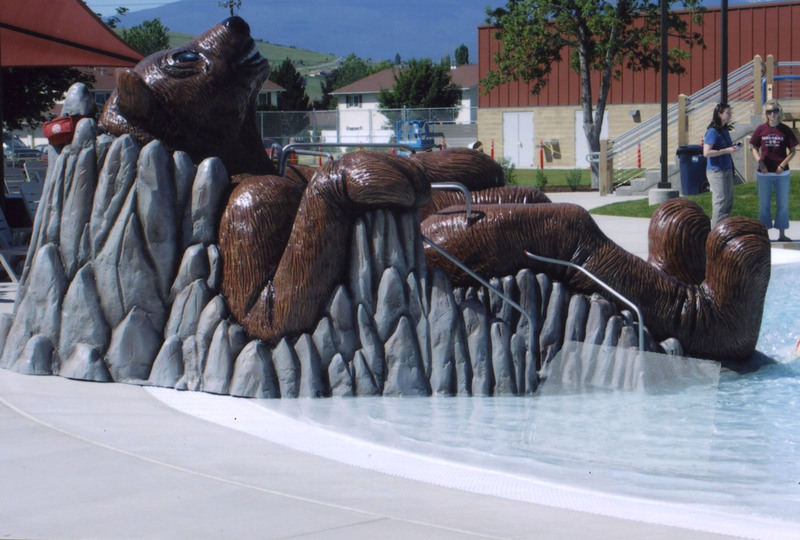 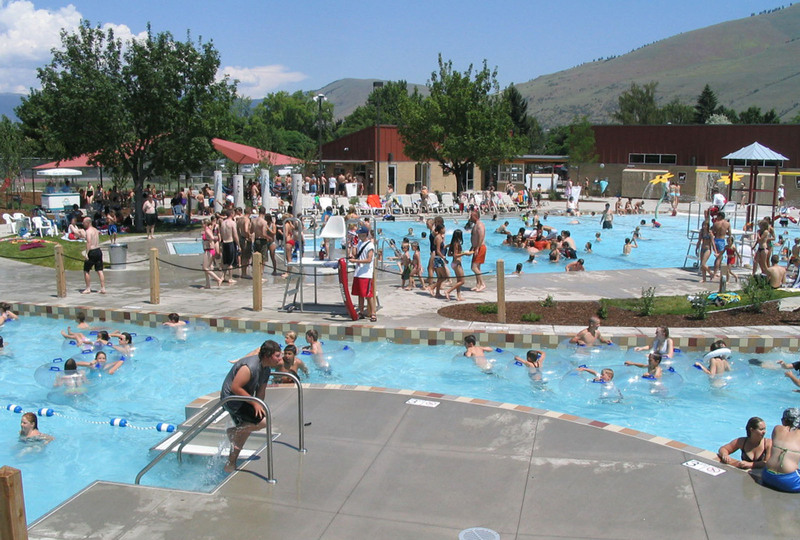 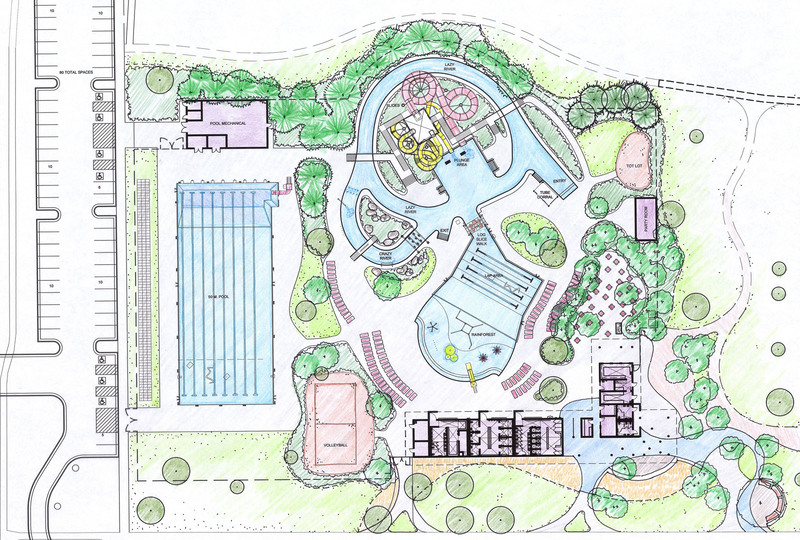 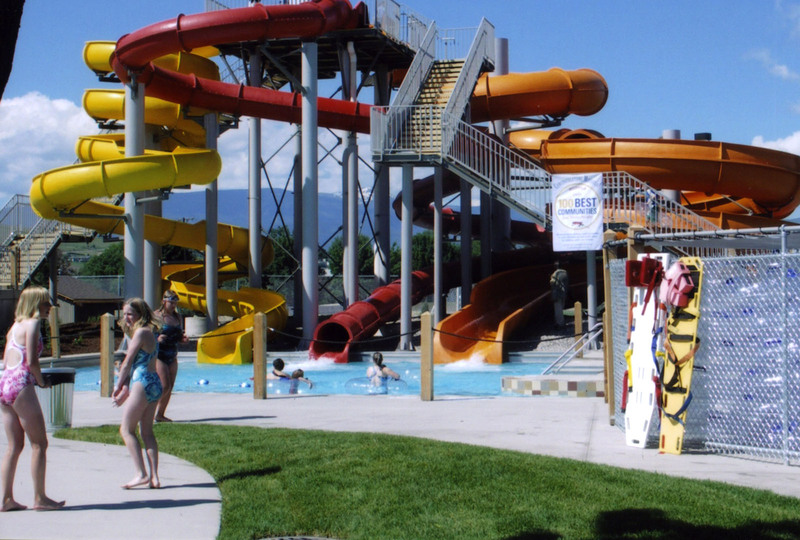 As part of the City of Missoula’s Aquatics Project, Splash Montana is an outdoor water park, designed with a forest fire theme in mind. 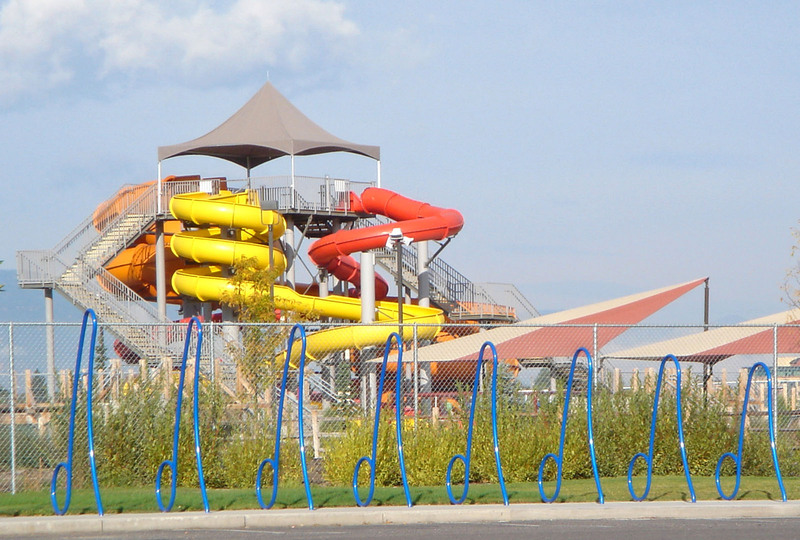 It includes a 35’ high launching platform, reminiscent of a fire tower. 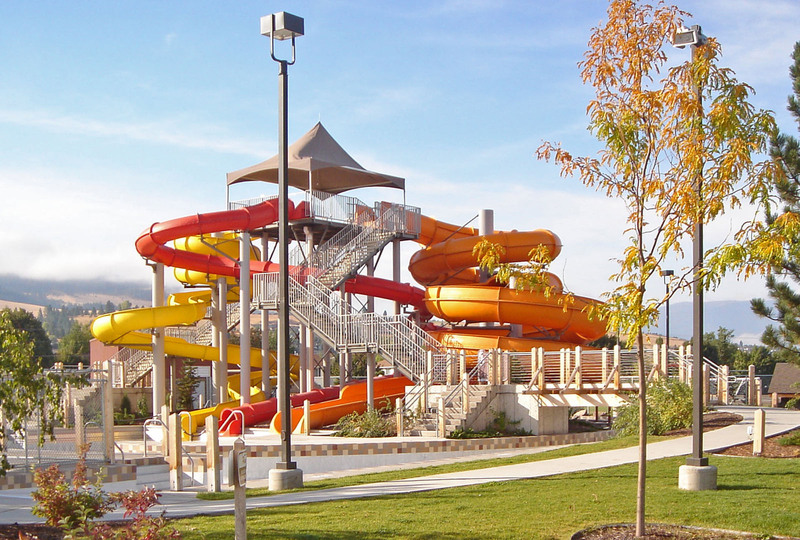 Three slides fall from the platform in flame colors. 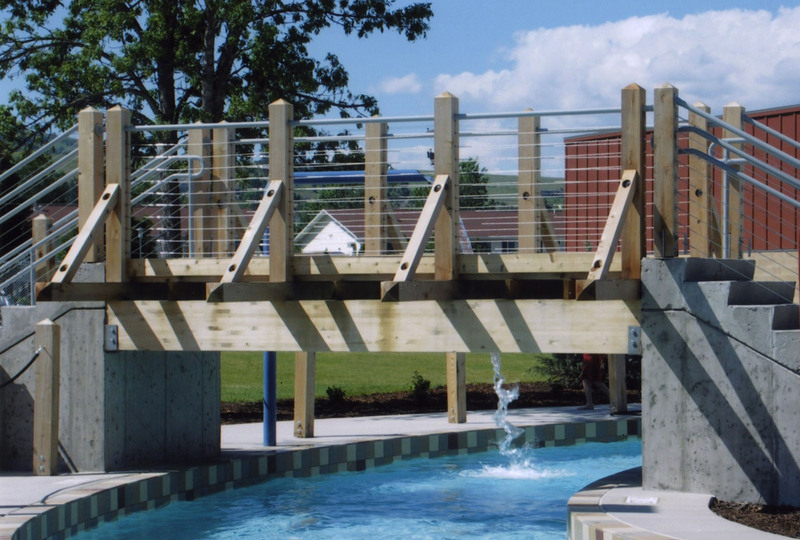 Wooden bridges span the lazy and crazy river and signage throughout suggests “forest service.” A leisure pool, concessions, tot lot, sand volleyball court and significant deck space are some of the amenities of the park. 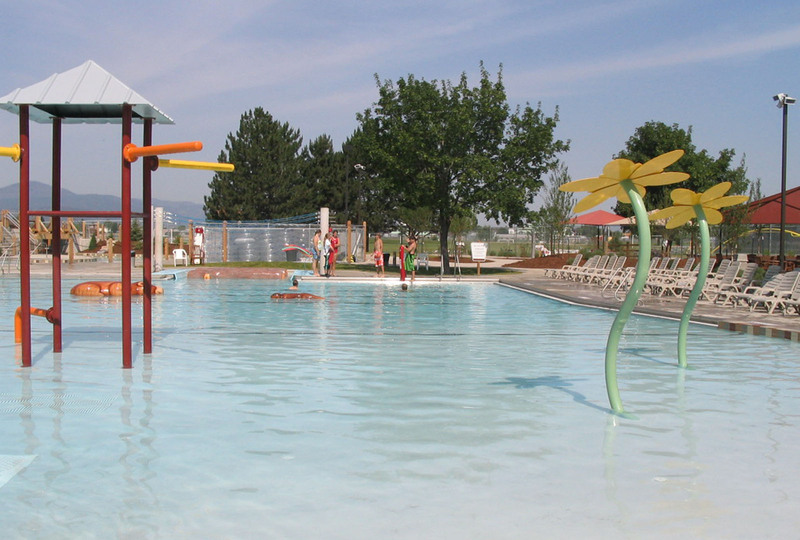 A few years after the official opening in 2006, a 50 meter pool was also built.